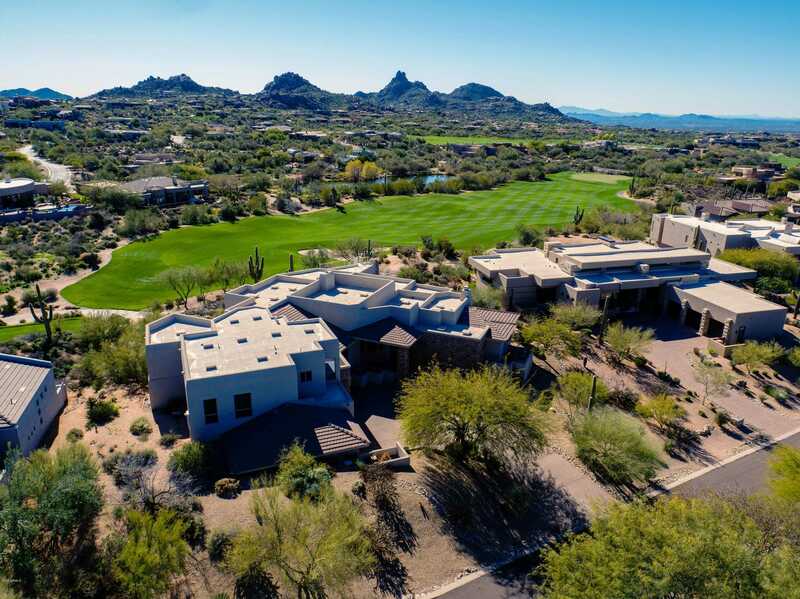 Enjoy Quintessential Golf Course Living from this elevated home featuring a sunny South backyard with City Light, Golf Course, Pinnacle Peak and Sunset Views. Remodeled Contemporary European Kitchen features open shelving, imported Moroccan hand made white tile backsplash and black leather finish granite with stainless steel accents provide a modern farmhouse feel. Spacious Open Floor Plan with Rare Guest/Family wing with game room on separate level and the Master Suite on main level. Formal Living & Dining Rooms. Huge Master Suite w/ Sitting Area & Fireplace, Dual Vanities, Jetted Tub, Bidet & Snail Shower. Resort Style Backyard featuring negative edge heated Pool, Raised Spa, Firepit, BBQ & covered Patio and viewing deck with Spectacular City Lights. Large Storage Room off Garage. Approximate size: 22744.00 sq. ft. Please, send me more information on this property: MLS# 5853918 – $1,499,000 – 10641 E Skinner Drive, Scottsdale, AZ 85262. I would like to schedule a showing appointment for this property: MLS# 5853918 – $1,499,000 – 10641 E Skinner Drive, Scottsdale, AZ 85262.